No matter what tarot deck it is, the tower usually comes right after the devil card, and is always seen as an ill omen. Many different interpretations of the card exist, and it is depicted in numerous different ways, sometimes as a tower on fire, sometimes as a tree being struck by lightning, but despite whatever depiction, the tower card always symbolizes chaos and destruction. Unlike the wheel of fortune which can mean a turn for the worse or a turn for the better, the tower card is always a turn for the worse, and if the card is placed in an area on a spread that represents a part of your life that is already going badly, this means it is about to get worse. If the tower card is found in the relationship section of a four point spread, then this means that your relationship will most likely end, and violently. If the relationship does not end all together, then it does imply that something very negative will occur as a result of this and that there is not much that can be done about correcting the issue. If you happen to see this card, but are not currently in a relationship, then this card likely means that you will not be finding one any time soon. You are going to face something so bad that it will cause your future chances of getting a relationship to be much worse. If you find the tower card in the area of your spread that deals with money, then this means that you will sooner or later have to face financial ruin as a result of your actions. Something you have done recently will lead to you losing quite a bit of your fortune and it will be hard to gain it back for some time. Take care not to make any bad investments and not to purchase anything that will require a rigorous payment plan, because you will soon be forced to give it up because of failure to make payments. 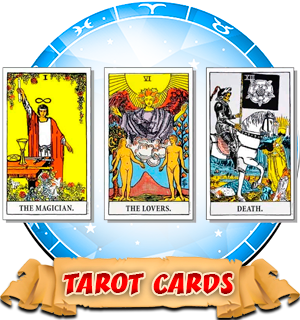 If you happen to find the tower card in the area of your tarot spread dealing with career, then you will probably lose your career. Have you ever heard the phrase “you’ll never work in this town again?” Well, count yourself lucky if all you lose is your job; because whatever is going to happen to you might put you in this very position yourself if you are not careful. Finally, finding the tower card in place of where your health spot is foretold is disastrous. You will probably be stricken with plague and disease or some adverse health condition. This in turn will contribute towards a general decline in your willingness to be happy and to attend fun functions. You will stick to more sad and depressing things that feed off of your disease and make your heart grow heavier and sadder. Whatever it is, something bad is coming, and it is going to affect you in a very adverse way. Make no mistake. There is a positive side to the Tower & this has been ignored. what a very sad interpretation! Awefully negative!